Apple Crumble is a kiwi classic dessert – always a crowd pleaser. Its also super simple to make – you might already have the ingredients you need in the pantry. As a quick cheat you could replace the apples with some tins of stewed apples or apple pie filling, but if you have a bit of time its worth it to peel and chop them yourself. If you’re looking for an alterative which is a bit healthier and uses natural ingredients, check out our Healthy Creamy Apple Crumble recipe. Preheat oven to 180°C. Mix the filling ingredients into a bowl and mix well to combine. 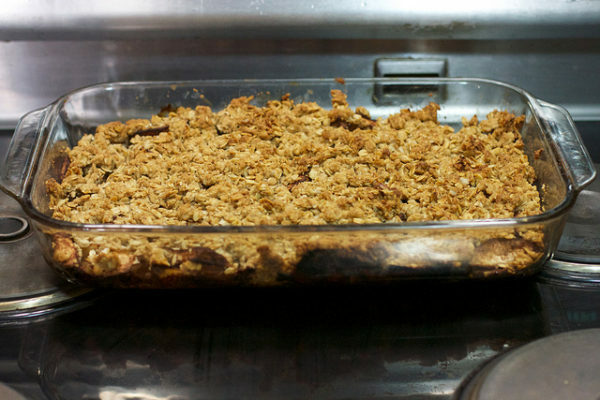 Transfer the filling to a large dish - large enough to leave room for the crumble topping. Put the the flour, sugar, cinnamon, oats and butter for the crumble topping in a large bowl and mix until combined together. No need to over-mix! Spread the crumble mixture over the filling in the dish. 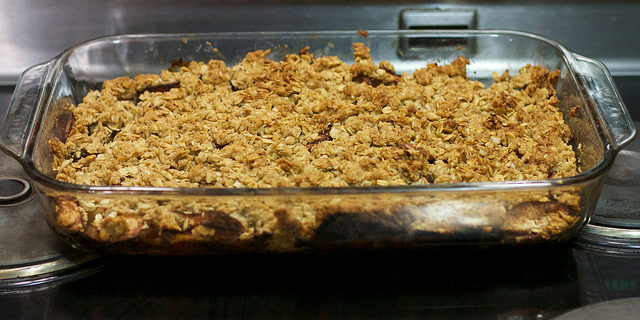 Bake for 40–45 minutes, or until the crumble is toasted and the apples are soft. Serve with cream, ice cream or yoghurt. I love this kiwi classic!